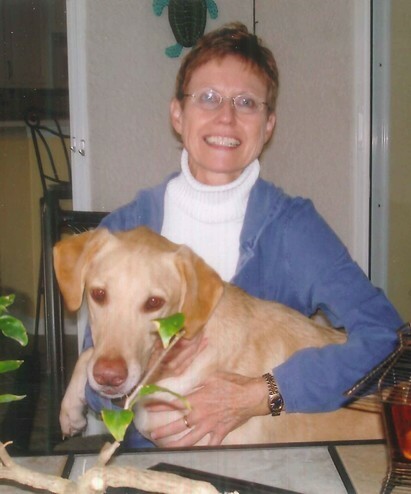 Susan Jean Marx, age 72, of Morristown, passed away Wednesday, April 10, 2019 at her residence. She was an active member of St. Patrick’s Catholic Church where she was a member of the CCW Group. Her big love was for animals and she also loved gardening, water aerobics, and yoga. She was preceded in death by her parents, Richard and Marion Blakemore; brother, Robert Blakemore; and her Lab, “Docker.” She is survived by her husband, Kenneth Marx; children, Steve (Betsy) Marx and Laura (Keith) Doop; grandchildren, Rachel (Chris) Miller, Natalie Marx, Colleen Marx, Chelsea Doop, and Owen Doop; four great-grandchildren; brothers, Jim (Barb) Blakemore and Tom (Judy) Blakemore; and brother-in-law, Keith (Kathy) Marx. The family will receive friends from 12 – 1 p.m. Monday, April 15th at St. Patrick’s Catholic Church. Funeral Mass will follow at 1 p.m. with Father Garrity officiating. In lieu of flowers, the family request donations to the Humane Society. Arrangements by Westside Chapel Funeral Home in Morristown.